The productivity of Agricultural land has reduced drastically particularly in highly industrialized and oil producing Countries as a result of incessant discharge of toxic compounds from many human activities into the environment. Plants are described as effective organisms for remediating polluted environment mainly due to their exceptional biological features. Some of the popular, modern and commercialized processes that have been used over the years in decontaminating polluted sites are not eco-friendly and are expensive. This is why more emphasis is laid on less-expensive and eco-friendly technique which uses green plants called phytoremediation. 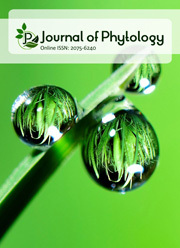 This review described phytoextraction, phytostabilization, rhizofiltration, phytodegradation and phytovolatilization as various techniques of phytoremediation with examples of plants that are used for this purpose. It also clearly describes healthy soil as promoter of crops yield and improving the lively hood of man and other organisms in the ecosystem.